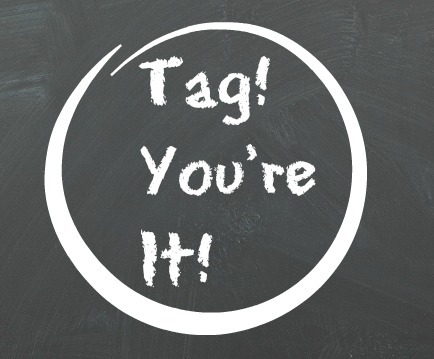 Five Things – I’ve Been Tagged! Ohh! OOH!! I’ve been tagged!! My super awesome bloggy friend, Karen from Baking in a Tornado, tagged me in the new sensation that’s sweeping the blogging nation, Five Things! Kids in general. Those that are hurting, hungry, misunderstood. None of those things should be a big surprise! Have all my children grown and happy. Whatever defines THEIR happiness. I would LOVE LOVE LOVE to travel to Europe. Who ate all the _______? Whose turn it is to clean the kitty litter? Can I get a little quiet, please??? OH! An easy one! LOL I’ll list the last 5 in order beginning with what I’m reading now. Immortal in Death by JD Robb I am completely hooked on Eve and Roarke!!! Midnight Riot by Ben Aaronovitch Very different sort of mystery. Fresh and humorous. The Diviners by Libba Bray SOOOO SOOOO SOOOO GOOD!!!! A very different take on paranormal YA. Bringing Up Baby – doesn’t get much better than Cary Grant and Katherine Hepburn!!! I have never been out of the county but I soooo want to travel all over the world! !